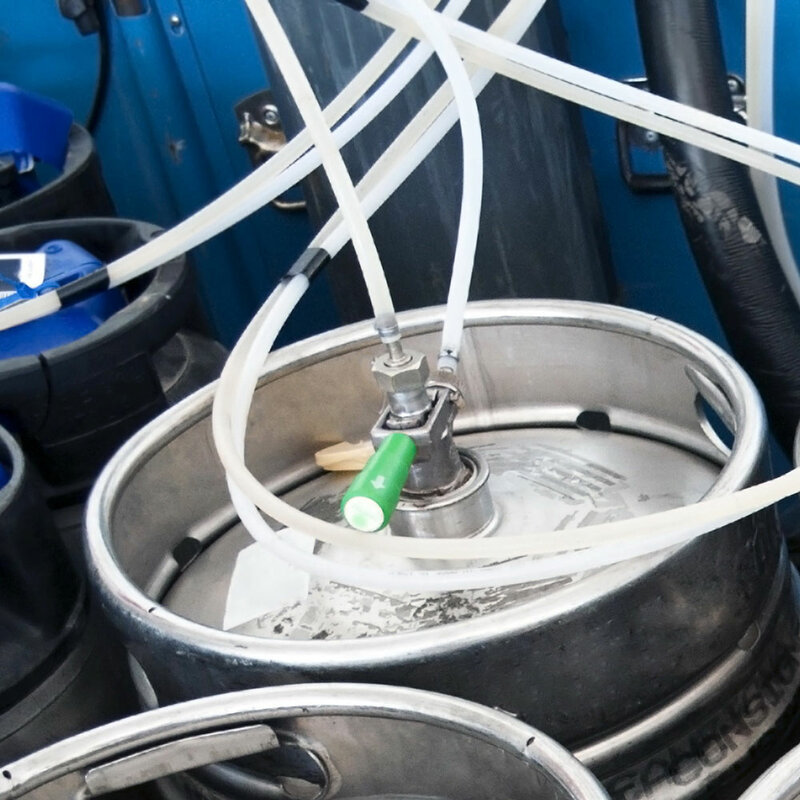 Service on Tap, a Champaign Heating and Air business, is Champaign/Urbana's leading expert in beer line cleaning, making sure your beer lines are properly installed and maintained. Not only do your customers rely on the cleanliness of the tools and systems you use to provide them great tasting drinks, the law requires it. Illinois State Law requires the cleaning of beer lines every two weeks and a well-maintained record of each cleaning. Over 150 businesses in the Champaign/Urbana area trust Service on Tap with their beer and wine lines, and we would love to provide the same great service to your bar or restaurant through our dependable and expert technicians. A Service on Tap technician will purge beer out of the line, and then soak the beer line with cleaning liquid. After sitting for 15-20 minutes or being circulated with the liquid continuously, the line will be flushed with water and rinsed. After being cleared of the cleaning liquid, the beer line will be reconnected, and each line will be tested for quality assurance. As with all of our service agreements, no contracts are required. We offer subscription-based services that can be canceled at any time for any reason. If we aren't constantly exceeding your expectations, you deserve the opportunity to change providers. Schedule Your Beer Line Cleaning Today! Whether you want to put a tap line in your bar's bathroom or your beer is inexplicably cloudy, Service on Tap is just a call away and ready to help. To schedule your first cleaning, contact us at 217-355-5022.